Home • News • National Association of Retired Police Officers donate £1000 to Rowcroft Hospice, following Elected Mayor Torbay, Gordon Oliver’s recommendation. National Association of Retired Police Officers donate £1000 to Rowcroft Hospice, following Elected Mayor Torbay, Gordon Oliver’s recommendation. Rowcroft Hospice was delighted to receive a generous donation from the National Association of Retired Police Officers (NARPO). 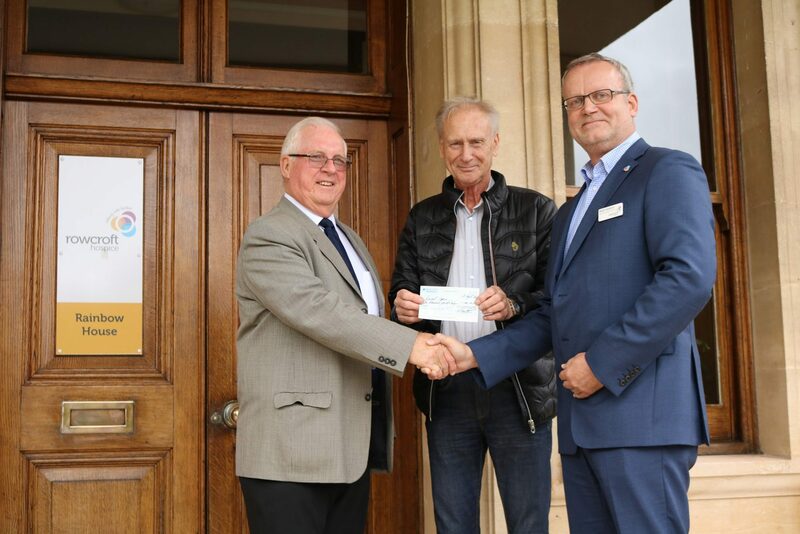 NARPO raised £1000 to donate as a charitable donation and approached the Elected Mayor of Torbay, Gordon Oliver to receive suggestions of charities to donate the funds to. Rowcroft Hospice was selected as the charity of choice. Elected Mayor, Gordon Oliver said, “I would like to thank Brian Burdus, the President of NARPO, and Steve Edwards, the Chief Executive, for their kind donation. NARPO will always be made welcome in Torbay and I hope they will hold their conference here again in the future.’’ John Ball Chairman of South Devon’s Branch of NARPO joined the mayor at Rowcroft Hospice to present the cheque. Rowcroft Hospice cares for over 2000 people living with life limiting illnesses in South Devon, this donation will help Rowcroft to continue to support and care for people that need support in the most difficult of times. Rowcroft is grateful to all supporters from the community who generously fundraise and dedicate their time, helping the hospice to continue providing end of life care across South Devon.